Property 1: "RIPTIDES"~Stylish Studio Located in a Central Location Near All the Action! Property 5: Luxurious Historic House With Pool in Old Town INTRODUCTORY RATES! Property 6: Location, location, location - Walk to the Beach! "Cozy Old Key West Apartment"
Property 12: "Cozy Old Key West Apartment"
Property 14: Near beaches and Duval. Second floor large apartment in historic Conch home. NEW LISTING! Charming Key West apartment - easy walk to shops, dining & seaport! Property 15: NEW LISTING! Charming Key West apartment - easy walk to shops, dining & seaport! Cozy cottage apartment w/ front porch & upgraded finishes - close to beach! 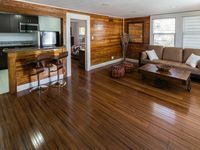 Property 16: Cozy cottage apartment w/ front porch & upgraded finishes - close to beach! Property 19: Secret Casita - A relaxing 2 bed / 2 bath escape in the heart of Key West! Perfect Old Town Location, walk to the Harbor and Duval Street! Property 21: Perfect Old Town Location, walk to the Harbor and Duval Street! 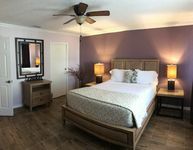 Luxurious Historic House With Pool in Old Town 1 INTRODUCTORY RATES! Property 25: Luxurious Historic House With Pool in Old Town 1 INTRODUCTORY RATES! We had a great time at the Old Time Suites, the rooms were clean, roomy, and walking distance to everything!